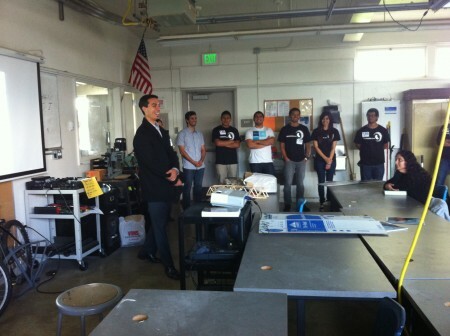 On Tuesday October 23rd, the OC YMF chapter along with the Santa Ana Community College Engineering Club visited Santa Ana Valley High School to talk about and promote the field of civil engineering. The event also served as an opportunity to discuss the up-coming Popsicle Stick Bridge Competition. Presentations about engineering, the Popsicle Stick Bridge Competition, and the basics of bridge design were given to two classes of high school sophomores and juniors. Presenters introduced themselves by informing students of who they are, where they worked, where they grew up and went to school. The two classes lasted about an hour and ended with in break-out sessions where groups of students discussed preliminary ideas. 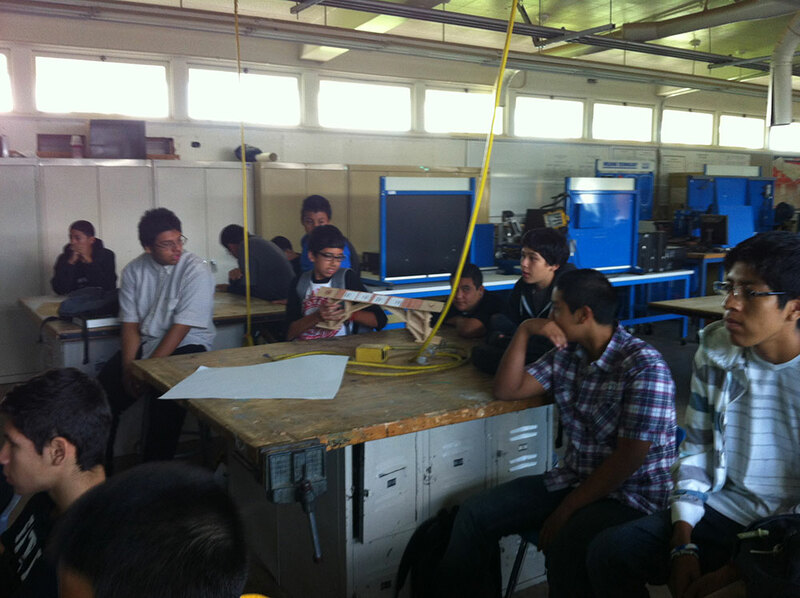 Some of the student groups got off to a great start and began discussing early concepts with engineers. We’d like to thank all the students that participated and hope that both classes had a great time. Santa Ana Valley High School plans to continue having Popsicle Stick Bridge Competition meetings bi-weekly, where OC-YMFers are welcome to participate. If you are interested in participating in any of the class meetings, please contact any of the OC YMF officers to find out how you can get involved.